The Browns waived Berry on Tuesday, Nate Ulrich of the Akron Beacon Journal reports. Analysis: Berry inked a three-year contract with the team in May with hopes of securing a 53-man roster spot or a job on the practice squad. 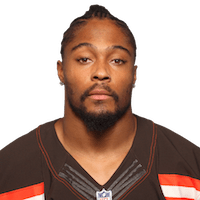 A special teams star at Tennessee, he was unable to transition that into a job with the Browns, but there's still a chance he could find a home elsewhere with a team in need of some special teams help. There are no videos available for Evan Berry. Click here to view all videos.